No. 18 Penn State football’s next opportunity to bounce back will take place at 3:30 p.m. Saturday on the road against Indiana. The Nittany Lions have lost two straight games in heartbreaking fashion to Ohio State and Michigan State. Trips to Bloomington have never been easy for Penn State, but our staff is confident that James Franklin’s team can get off the schneid. It’s do or die for the Nittany Lions after two stunning losses to Ohio State and Michigan State. I still believe that Penn State has the offensive capability to put enough points on the board, but the team will need to get its swagger back after a deflating performance last week. The Nittany Lions need to prove that they are still a force to reckoned with if they want to earn a spot in a good bowl game, and I can’t think of a better way for them to do it than with a trademark Penn State win. 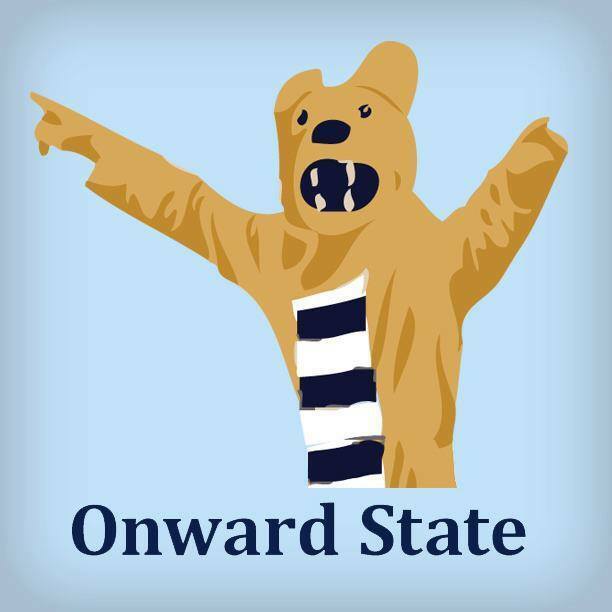 The Nittany Lions have to get back on track this week. For whatever reason, playing in Bloomington is never as easy as it’s supposed to be for Penn State. They needed a second half comeback to come away with a win there two years ago. I expect the game to be close, the Nittany Lions might trail at one point. But ultimately they’ll come out with W because they desperately need to. Penn State’s offense struggled mightily against Michigan State’s defense last week, but I think we’ll see the Nittany Lions get somewhat back on track this weekend. Expect a few big plays from Trace McSorley, but the Nittany Lions defense will be the story of the day, including a defensive touchdown at some point. Penn State should get a much-needed win in Bloomington this Saturday. I think Penn State continues to struggle offensively this week, but the team should grind out a much-needed win. While I don’t see this offense magically clicking all the sudden with the current wide receiver personnel (free Justin Shorter), this is an Indiana team they should be able to dominate at the line of scrimmage. In recent weeks, we haven’t seen much creativity or explosiveness from Ricky Rahne’s offense, so that will certainly be something to watch in terms of the gameplan. Defensively, I expect the weekly improvement to continue, with Sean Spencer’s Wild Dogs having a dominant day in Bloomington. Look for big days from the defensive end group and a lot of Micah Parsons rushing the passer. Last weekend’s game with Michigan State marked the first time Penn State failed to reach 20 points since the 2016 season. Luckily for the Nittany Lions, Indiana is up next, and this Hoosier team is sitting near the bottom of the Big Ten East. The Nittany Lions have historically dominated the series, winning 20 of 21 games between the two teams. The Hoosiers’ offense is run around its sophomore quarterback Peyton Ramsey. Ramsey will be Penn State’s largest concern, as the “Trace-like” dual-threat quarterback ranks near the top of several Big Ten passing categories. Although Indiana kept it close with Ohio State through three quarters earlier this year, I believe Penn State gets rid of its mid-season blues and storms through Indiana. Penn State’s 2016 trip to Bloomington was much closer than the final score indicated, and I expect Saturday’s game to be relatively close until the fourth quarter, too. The Nittany Lions need to build some confidence throwing the ball deep if they’re going to turn the season around and make a New Year’s Six bowl. The Nittany Lions need to get their swagger back after consecutive losses to Ohio State and Michigan State. I think they will, but only by the skin of their teeth. Guys like Tommy Stevens and Justin Shorter haven’t seen the field as much as I would like them to, which is why I think this will be another boring game. I understand why Rahne isn’t taking risks after two straight losses, but something needs to spice this offense up. If anything, Penn State’s defense has been the impressive aspect of the last two weeks of play. Holding the Buckeyes to just 26 points is quite the accomplishment, and Indiana’s offense doesn’t even come close to that of Ohio State. Still, the offense hasn’t really clicked as the receivers have struggled to get open and Rahne’s play-calling has been weirdly conservative. I think the Nittany Lions will get back into the win column against the Hoosiers, but that really doesn’t mean too much. I’ve said all but once this season that the upcoming game will be too close for comfort, so I may as well stick with that. Ricky Rahne must diversify if the Nittany Lions are going to have a fighting chance to win out over the rest of the season, and this weekend should be a good change for him to test out any decent plays he’s been hiding up his sleeve against a less than impressive defense. Say it with me, folks: Bowl. Eligible. The deadline for Penn State’s Class of 2023 to submit their deposits is only a few days away, and thousands of current high school seniors are about to begin the next chapter of their lives.